Bill McKibben is an author and environmentalist. His 1989 book The End of Nature is regarded as the first book for a general audience about climate change, and has appeared in 24 languages; he's gone on to write a dozen more books, including Eaarth and Oil and Honey. He is a founder of 350.org, the first planet-wide, grassroots climate change movement, which launched the fast-growing fossil fuel divestment movement. McKibben lives in Vermont. 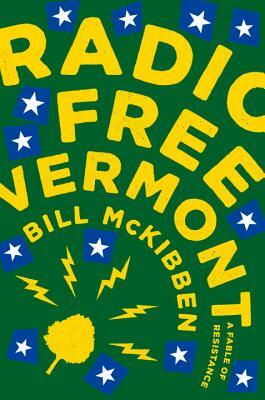 "What a delicious pleasure to read Radio Free Vermont - a weird and utterly joyous if sometimes hair-raising romp through the dark Wonderland of life under Trump. Bill McKibben is a brilliant storyteller, and I love this book, which is balm for our troubled times."